A seminar organised by Justine Clark on behalf of the Australian Institute of Architects recently that discussed Melbourne’s suburbs and its disconcertedly low housing density. Rather than propose specific solutions, it sought to broadly articulate the scope of the issue and how our understanding of it might help us chart a course towards a more sustainable suburban environment. Chaired by Professor Paul Walker, the impressive panel was populated by three individuals with significant experience in urban planning and policy: Brendan Gleeson is a Professor of Urban Policy Studies at the University of Melbourne, Emma Appleton is the Director of the recently formed Design Review Panel at the Office of the Victorian Government Architect and Damien O’Kearney is Strategic Development Facilitator at the City of Frankston. Presentations from the panellists covered interesting territory: Gleeson’s was the most general, touching on concepts and broader issues; Appleton drew on her experience with CABE in the United Kingdom to contrast our local condition against international equivalents; while O’Kearney focussed in great detail on the current urban planning paradigm within the City of Frankston. Gleeson: According to energy and water profiles, low-end high-rise residential developments have the worst environmental performance of all building typologies. Gleeson: According to post-occupancy surveys, low-rise medium-density residential developments perform the best of all building typologies. Appleton: According to a detailed survey conducted in the UK, 86% of the housing stock that falls within +/- 20% of the average house price meet so few performance standards they should not have received planning approval. Appleton: Despite the climatic, cultural, lifestyle and construction differences between Australia and the UK, suburban growth areas in both countries are indistinguishable. Appleton: While homeowners in the UK collectively dream of owning a large, detached house on its own land close to the city, most are prepared to entertain apartment living as long as they have access to good parkland nearby. Appleton: 42% of all multi-residential development proposals in Victoria go before the Victorian Civil and Administrative Tribunal. O’Kearney: 45% of Frankston households earn less than $1,000 a week. O’Kearney: Frankston South has a median house price of $520,000 while Frankston North has a median house price of $280,000. Neither condition is sufficiently expensive to justify densification via apartment developments, which typically sell in excess of $500,000. The transition from Melbourne’s current low-density sprawl to a higher-density fabric needs to take social equity into account. This applies to achieving good design outcomes for lower income families as well as protecting collective lifestyle values from the potential pitfalls of blanket high-density development. Revitalising a stagnant suburb requires both grand, top-down vision as well as grassroots exemplars. 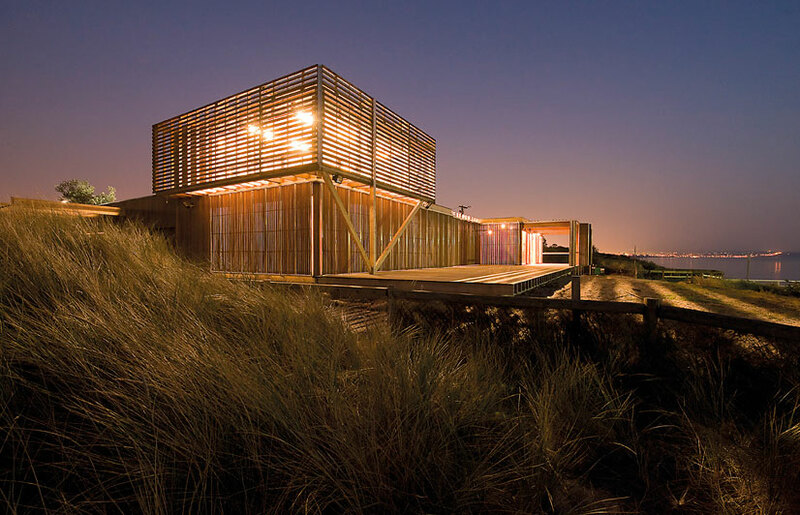 O’Kearney noted that the Seaford Lifesaving Club by Robert Simeoni and Keast Park Community Pavilion by Jackson Clements Burrows are both small projects whose good design are inspiring unexpected interest in architectural design within local communities. NIMBYism is not the source of development stagnation but a symptom of poor underlying education in urban design and the functions of a liveable city. Even one member of the audience came curiously close to suffering from this ailment, railing against the inappropriateness of high-rise development. Most residents support higher density development in their suburbs as long as it’s good quality and in keeping with the existing context. We do question this insight: surely increasing density and keeping with the existing (lower density) context are a priori incompatible concepts? A cooperative development model has worked well in other countries, and could be employed with success here. It involves the pooling of neighbouring land parcels owned by separate individuals into a larger lot with the potential to achieve more significant, high quality design outcomes. The content of the presentations was fascinating, and subsequent conversation engaging. They raised palpable issues very relevant to architectural practice and contemporary Australian culture. Though we expressed a profound lack of faith in the abilities of the current political and planning systems to intelligently handle the much-needed transition towards a more compact city, we left Density and the Suburbs feeling uplifted and certainly more hopeful than when we arrived. Indeed, we hope to organise a follow up session, operating as a workshop rather than within the presentation format. With a suitably open-minded client (O’Kearney would be perfect), productive curator and constructive workshop group, we can see real benefit coming out of such an event. 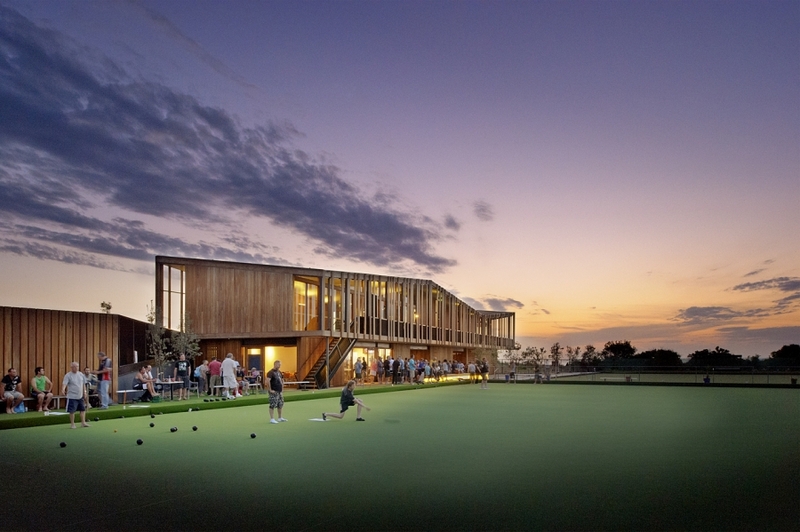 Architects constantly bemoan Melbourne’s vast, untouched suburban fringe. We ask: why does the State Government continue to release new fringe land? Why do developers continue to design and build such poor-quality surburbs? And why oh why do people continue to purchase the resultant houses? It’s about time we contributed more meaningfully to this issue.